Since 2007, our company has worked hard to earn a reputation as a leader in the commercial drilling industry. Contact Ransom Drilling Services when you need work done in Gary, TX or Point Marion, PA.
We'll work with you to increase the overall efficiency of your drilling program and decrease the days from spud to completion on each well you drill. In the case of conductor drilling, including mouse and rat-hole drilling, most of our work can be completed in one day. Having an experienced crew handle your drilling and hauling needs ensures we will meet your regulatory requirements. Discover the ease of working with a qualified crew by contacting Ransom Drilling Services today in Point Marion, PA. 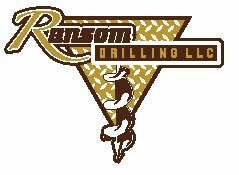 Experience - Ransom Drilling Services was founded in 2007, and our employees are all drilling industry veterans. There are few projects our crew can't handle. Safety - At Ransom Drilling Service, we pride ourselves on our top-tier safety record. We do what it takes to keep personnel and property safe during our drilling work. Certification - Ransom Drilling Service is approved by the Texas Department of Transportation. Our portfolio includes a variety of private and public-sector clients. Learn more about what Ransom Drilling Services can do for you by contacting us today in Gary, TX or Point Marion, PA. Copyright © 2019 Ransom Drilling Services LLC, all rights reserved.